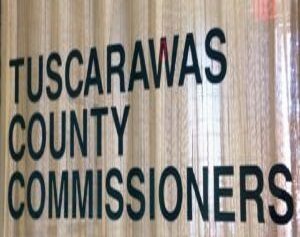 Nick McWilliams Reporting: (New Philadelphia, Ohio) – The Tuscarawas County Commissioners heard rebids Wednesday regarding a headworks improvement project that was the first bid on in 2018. After all bids from last year exceeded the available funding for the plan, the choice was made to try and split tasks into multiple projects to reduce costs and avoid having to take out necessary improvements. The Wilkshire Hills wastewater treatment plant screen building is in disrepair according to Director and Sanitary Engineer of the Tuscarawas County Metropolitan Sewer District Michael Jones. The installation of a bar screen in the pump station is the biggest piece to the puzzle. The current screens being used at the plant were constructed in the 1970s, and Jones says they are well beyond their expiration date. The existing screen building will also be demolished during the project. Jones could not give a definitive date on when the bid will be selected but says they will thoroughly research all available options. The alternatives for the project include wet-well concrete repair, paint and caulking and electrical work in the variable frequency drives. The estimated cost for the base bid is projected at $483,000.